Explore our community calendar of events for local youth and teens. Join a Jewish youth groups for teens to engage and socialize. Like and follow us to get updates on upcoming events, opportunities, and programs. Entering Kindergarten through 9th grade? Join us for an amazing summer at Camp Gan Shalom! Make new Jewish friends at Camp Gan Shalom! Bake challah, sing songs, and have lots of fun at Camp Gan Shalom! 9-12 year olds can receive FREE books each month! Choose your own titles from four that are offered each month based on reviews and topics that are of interest to you! Create exciting music with other local teens and an awesome team of orchestra leaders! 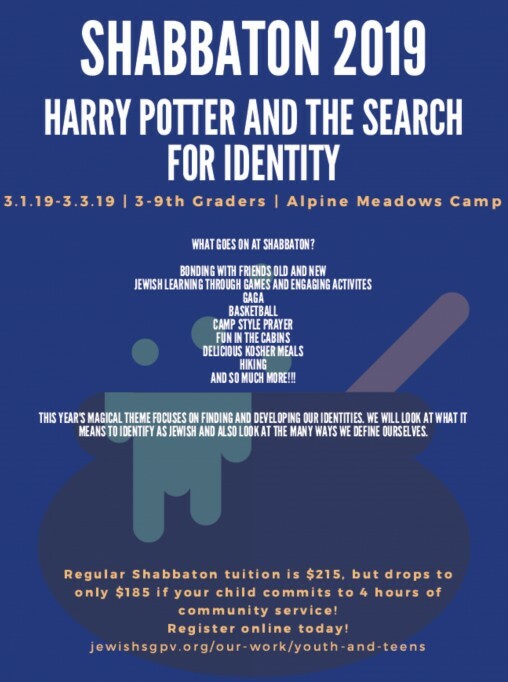 Celebrate Shabbat outside, explore the mountains, and make new friends at this annual weekend retreat for 3rd-9th graders! Attending Shabbaton 2019? Click here for packing list & transportatio details.